I never thought I would see the day I would be asked to write a blog. I was the child who hated English in school and would never read a book, but I have to say writing about a subject I am passionate about is different, so here goes. The last few weeks have been very emotional for me. I have gone from the height of excitement to the depths of despair. 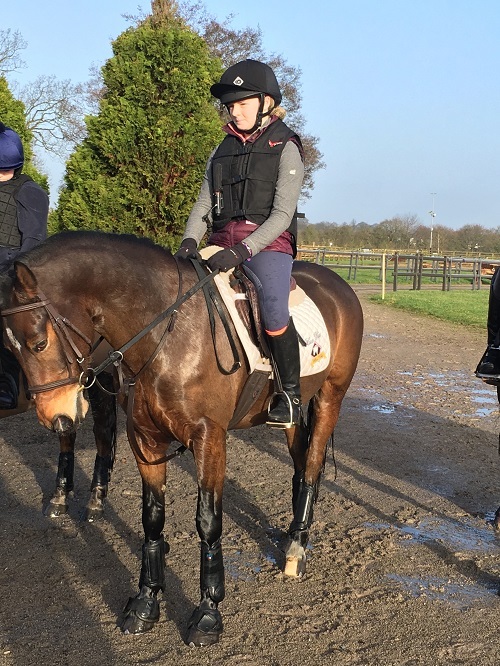 It's not often I go quiet, but I did bury my head for a few days unable to hold a sentence without crying because after qualifying for The Badminton Mitsubishi Cup this year (the “grassroots” 90cm championships) on my homebred mare Ardfield Willow, she is lame! I am still waiting for the full MRI report, but I vaguely remember the vet mentioning 12 weeks of box rest, and the rest is a blur. Resilience: that’s the big word I keep reminding myself we need as equine enthusiasts. That covers the mud, sweat and tears we all face in quick succession. So, moving on to a high quickly before any of you who have continued to read this far are not too depressed— I won a prize! Hence why I am writing this blog. 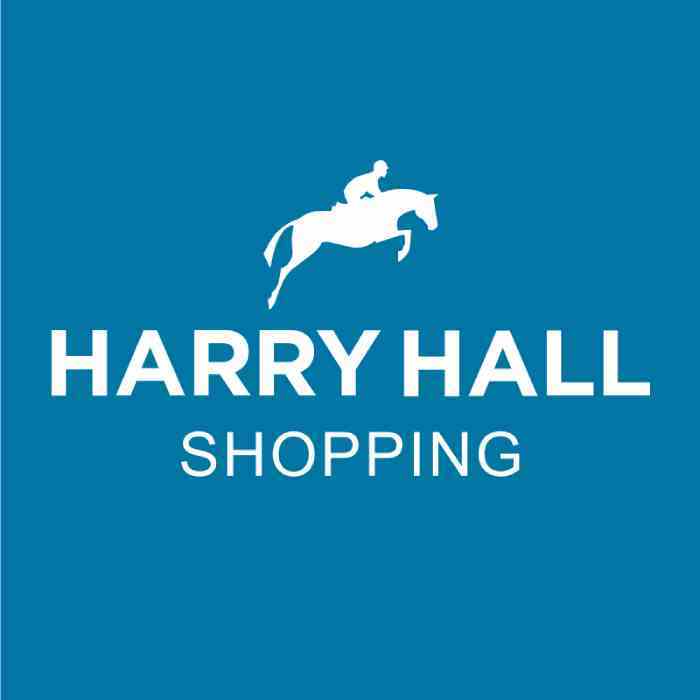 The same week that my horse gets injured I win a sponsorship deal with Harry Hall! Now, I don’t do competitions in magazines or online usually but this one really caught my eye because I have three children who also ride and, luckily, a very supportive husband who is not afraid to get stuck in. So, allow me to introduce us all; I am an ordinary working mum with three daughters. I am a self-employed Optometrist and I work full time although I manage my own diary so I can occasionally block off a few hours to get some training in. My daughters are Orla soon to be 16, Keeva age 14 and Aisling 12. My husband is Graham who rides occasionally but regularly pushes a wheelbarrow and is in charge of studs and long drives. The father ever rider wants! You probably guessed there is an Irish influence. I was born and brought up in an equestrian family in Cork. I don’t actually remember life without horses, but I did take a gap in competing once Orla was born until really 2015. In between those years I could be found on the end of a lead rope! I only really got back into riding properly when I couldn't run fast enough. My father, Eddie Freyne, has as good an eye for a horse as you will find and is responsible for my love of all things horsey. He continues to breed and keeps over 20 horse at his home in Cork despite being in his seventies. My brother Tom Freyne is an MFH in Ireland and is Commanding Officer of the Irish Defence Forces, Army Equitation School. He also does a bit of TV commentary. The three girls are members of Cheshire Hunt South pony club and the two eldest events. At present we have two horses and two ponies. My 11-year-old mare is Ardfield Willow. She has had a very slow start while the children were little, but I have had amazing fun on her over the past two years. I have really enjoyed riding with the girls but also doing it for me. Orla rides Ardfield Surprise(Pixie) but while my mare is off I will be "helping" with her so Orla can concentrate on her GCSE's. Keeva has a truly beautiful pony called Kellough Pride or Albert at home. He is rising six and was found for us by my dad as a four-year-old. I am very lucky that my Dad either breeds me horses or finds me ponies. All the home bred horses have an "Ardfield" prefix so maybe some of you will recognise the name. Possibly the most well know was Ardfield Magic Star ridden by Zara Phillips. Aisling has a 13.2hh pony called Stardale dream or Joey. He is the mischievous one (like his jockey). We are very fortunate to keep our horses at home but Joey can see in the kitchen window and takes huge exception to me putting the kettle on before feeding him each morning! One of the things I have found difficult this year is that Orla and Keeva are about the same size as me so they think nothing of wearing my riding jackets etc........so I am looking forward to trying out some new gear from the Harryhall.com range which includes Tottie, Caldene, Cottage Craft, Masta and Woofmasta — quite a range! I was intending to have a smart new hat for Badminton and I may still get one but while I continue to feel utterly gutted I cannot help admiring all the professional riders who put such huge amounts of time, effort and passion into bringing talented horses up through the grades to then get injured. So for us the event season was due to start at Oasby on March 10th. I had to withdraw my horse but Orla and Keeva were hoping to do the BE90 as a nice first run. Unfortunately, the event was cancelled on the Saturday, so it now looks like Sapey will be our first. In between now and then I will ride Pixie when I can and I might even steal Albert for a bit of fun and fitness. I could keep writing and tell you all about the fun I have had riding with my friends and about juggling the demands of eventing, the washing pile, work etc but I had better stop for now.